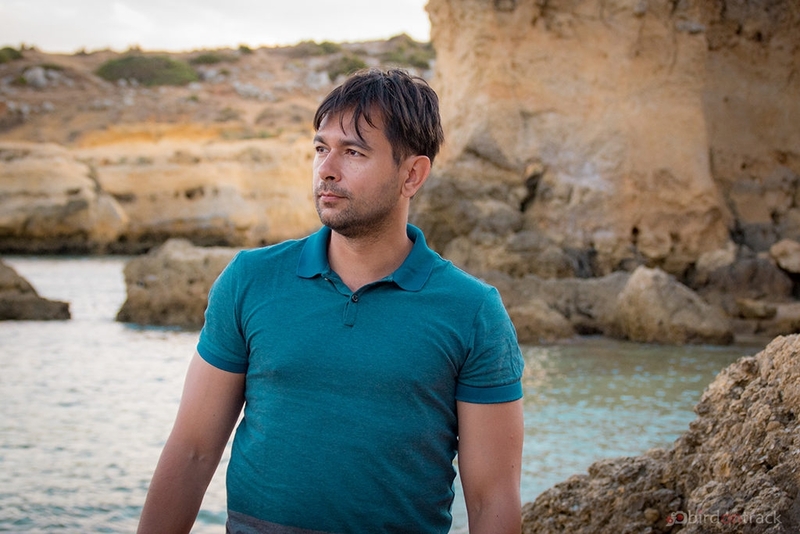 The beguiling and intense fragrance of my freshly caught fish crispy fried in fine olive oil rises in my nose and for a moment I turn my eyes away from the breathtaking view over the apricot-colored sandy beach of Albufeira and the crystal-clear Atlantic water. My eyes rest on the delicious supper, my throat dry from the merciless summer heat of Portugal rejoices for the cool beer, which the friendly and discreetly smiling servant placed just in front of me and my gaze wanders to my wife, who sits beautifully and with her disarming smile in front of me and a thought, yes more a feeling, a certainty that accompanies me since the beginning of our Portugal road trip, now flows through my body untamed: Life is beautiful. Here we are again, fresh from the south coast of Portugal with summer greetings from Albufeira. The city on the Algarve with its almost 23,000 inhabitants was now the sixth and penultimate station on our summer Portugal road trip 2017. 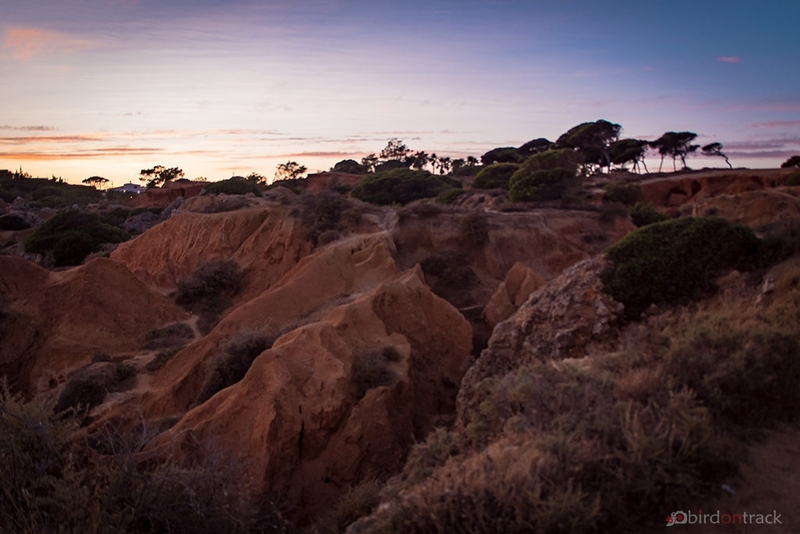 And with these impressions we go directly in our today’s article, this is all about the things to see in Albufeira. 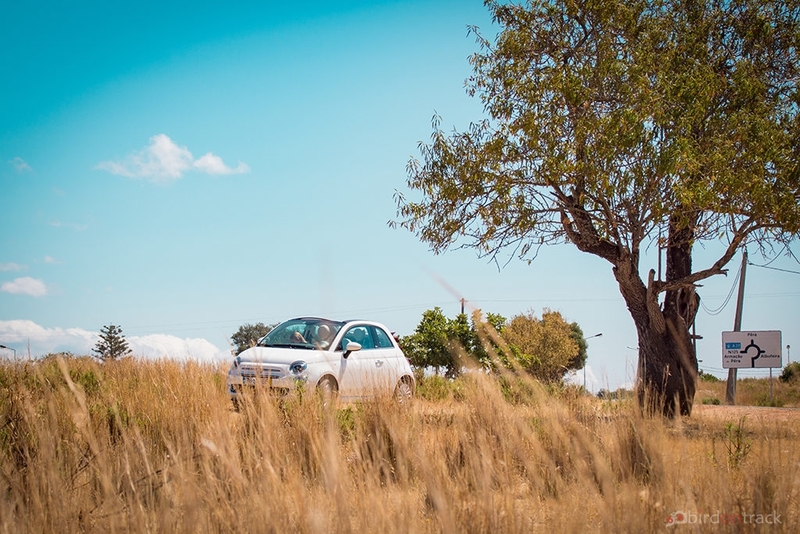 Anyone who knows our Portugal road trip a bit better, knows the magical impressions that we have already collected on our route from Lisbon to the southernmost tip of the Algarve. And Albufeira is no exception. 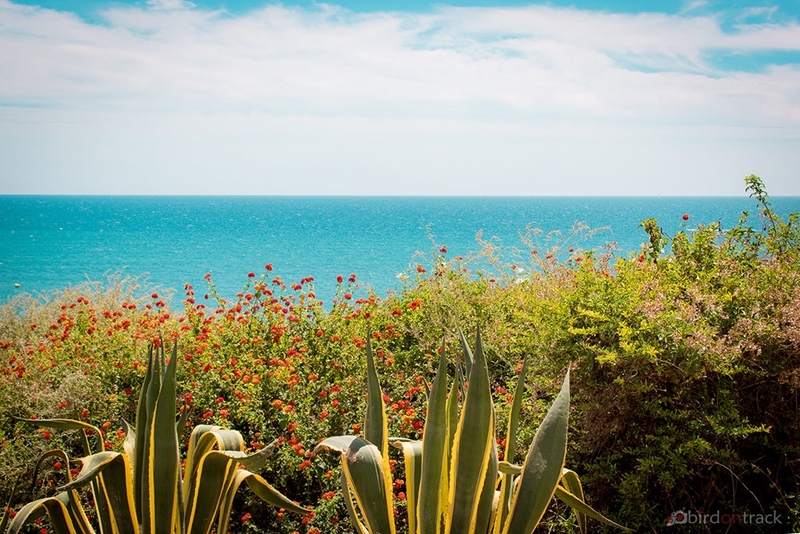 Like many places in Portugal, Albufeira has an ancient history going back to the Roman period of up to 2,000 years. Called Baltum by the Romans, the city has always been considered impregnable. Like many places in Portugal, and indeed all of Europe, Albufeira has experienced dark moments in its history. The Great Lisbon earthquake of 1755 destroyed much of the country, as well as almost completely Albufeira. In 1823, the city was burned down in clashes between Miguelistas and Liberals and large parts of the population were massacred barbaric. All this happened on the high part of the city, which no longer exists today. In 1986, the new town at the foot of the hill was elevated to the official city. 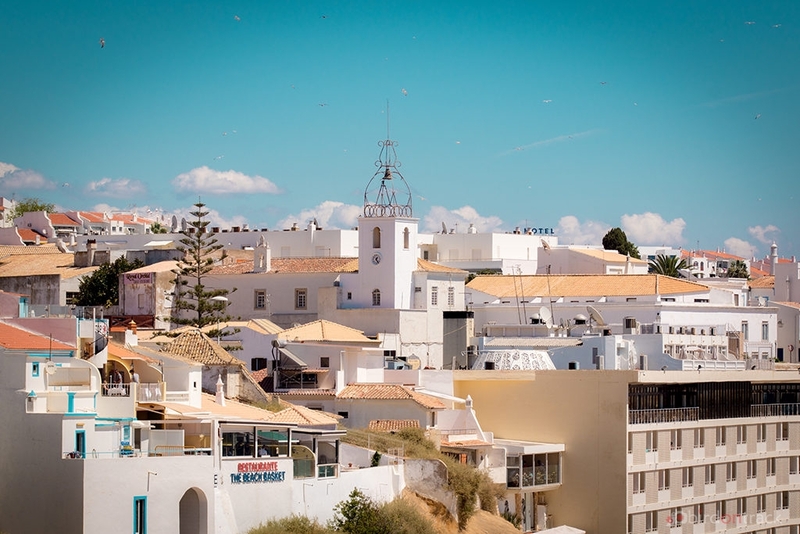 First and foremost, Albufeira is so popular with tourists for its charming and welcoming old town, the so-called Cero da Vila as well as for its wonderful beaches. The old town presents itself in a unique mixture of lively, busy bustle and a serenity that can be felt everywhere. I would like to call it a lively serenity. Unfortunately, many of the things to see in Albufeira have been lost or destroyed by the destructive forces that have affected the town. Nevertheless, there is still a lot of things to see in Albufeira and marvel at. First, as mentioned, the old town is a real eye-catcher, the small streets, the bright white houses with their colorful mosaics and ornaments let the heart bounce a little higher. But what makes the Albufeira attractions so special is the big and established party scene. If you want to party in the Algarve, go to Albufeira, that’s the law. Or it would be the law, if there was one. Well, more in the next sections. Furthermore, there are numerous boat tours with dolphin or bird watching. Tickets and an ideal overview of the various programs can be found here at Tripadvisor. A visit for the whole family! For those who like something more special, a visit to the neighboring Capela dos Ossos Alcantarilha, the Chapel of the Bones, is recommended. This church was actually built from hundreds of human bones and skulls. Unfortunately, we have no photos of the place, but just google for it. It takes less than half an hour to get there from Albufeira. 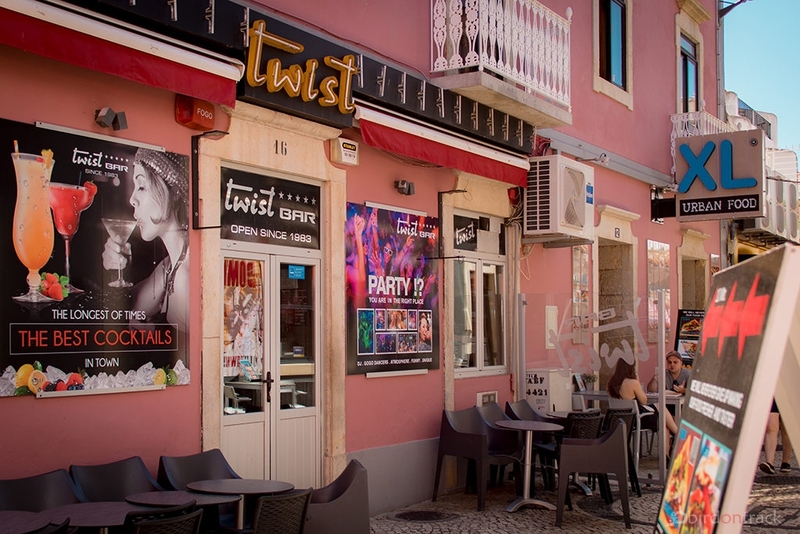 Yes, you can party extensively in Albufeira. There are over 100 restaurants in the old town, which is a decent density for a relatively small place like this. There is even an own party mile, the so-called Piste. This consists of 100% bars and clubs. Especially English tourists are often found here, who feel at home in the pub-like bars. Nevertheless, German is also spoken in many places. Yes, in Albufeira, the night is literally turned into day. Some clubs such as Kiss or Heaven even have their doors open for the party-goers until 7am. 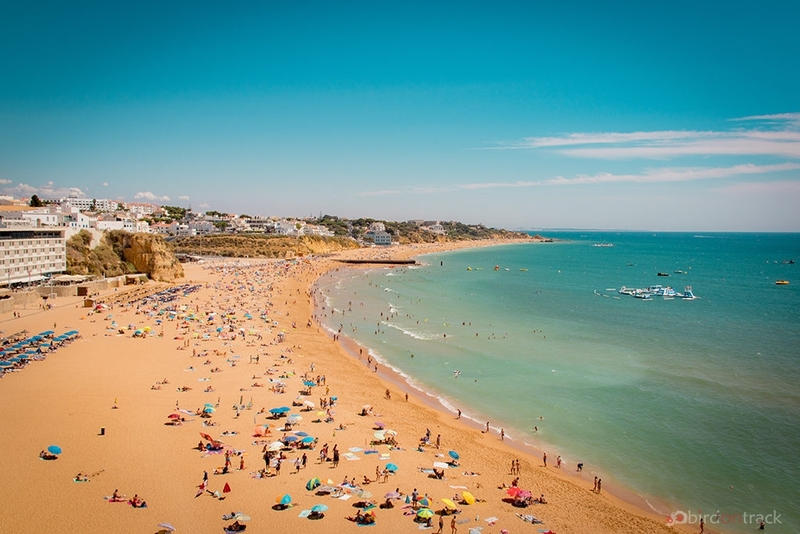 The city’s beaches of Albufeira are the ideal place to cure the hangover after a long and extensive celebration on the party mile or as a family to relax and sunbathe. Also with surfers this spot is very popular. 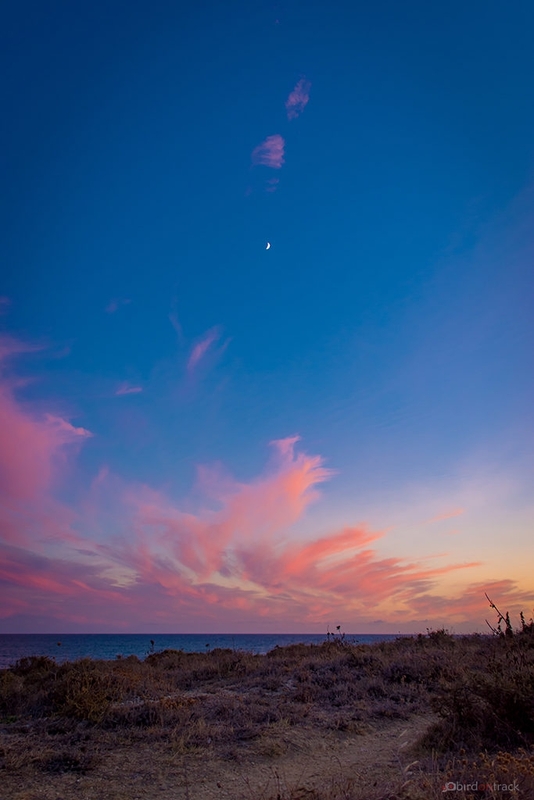 This results in a colorful mix of beach people, who all enjoy the sweet life. 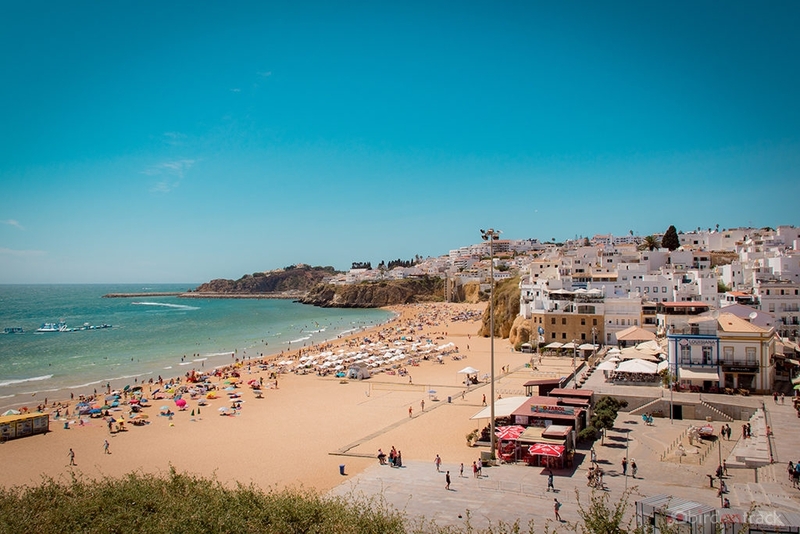 Very pleasant is that the beach can easily be reached from the higher Albufeira with two lifts at both ends of the beach – fancy! Various beach bars make even longer stays very pleasant by permanent refreshments. Beer costs 2.50 EUR (around $3), which is more than acceptable. Sunbeds can be rented for 5 EUR (around $6), umbrellas cost another 5 EUR extra. The water is crystal clear, but just by the Atlantic stream quite cool. 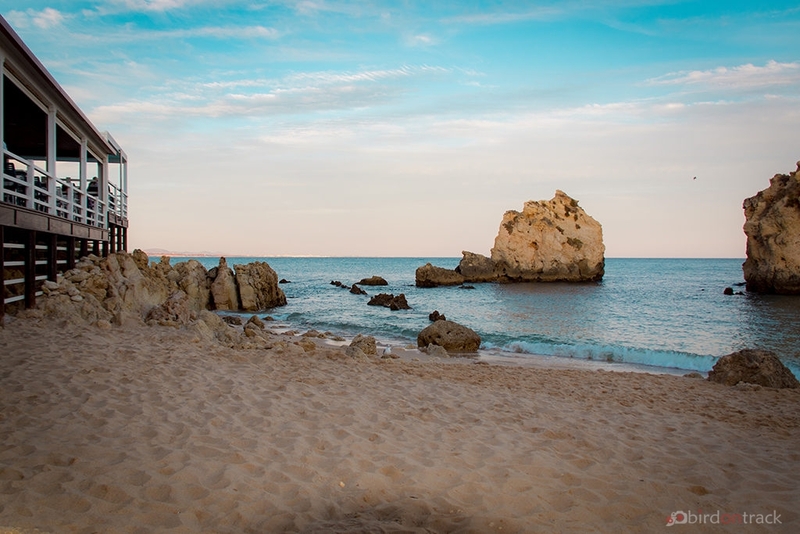 All in all, the beach is one of the top beaches in the Algarve, not least because of its easy accessibility, the city-proximity, as well as the very good restaurant offer. For surfers, Albufeira is known and loved as the party heart of the Algarve anyway. In addition, the audience is composed as described mainly from partisans but also families or newly in love couples. 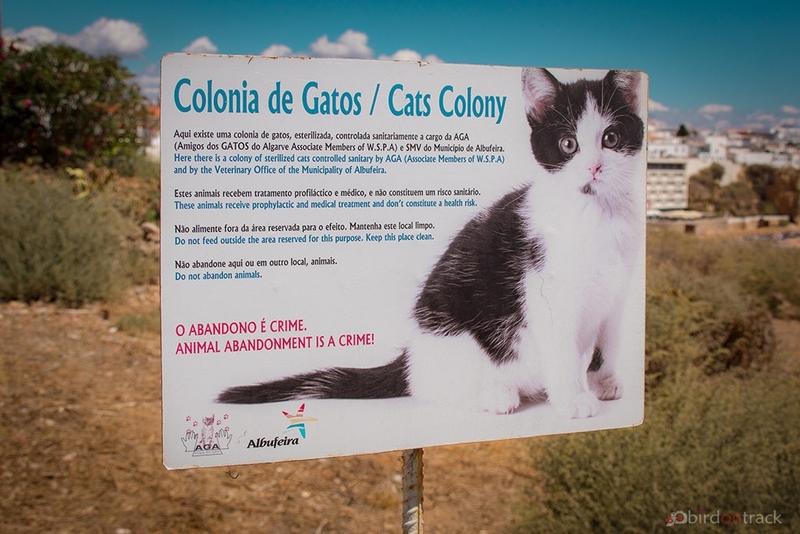 Albufeira truly offers something for everyone. What appeals to Albufeira is that it is well-mannered and civilized in spite of celebration. No piles of garbage, no drug excesses, no petty criminals who take advantage of the slight holiday mood of the tourists. Since Portugal in general and Albufeira particularly are relatively cheap, a trip is also worthwhile for budget travelers. 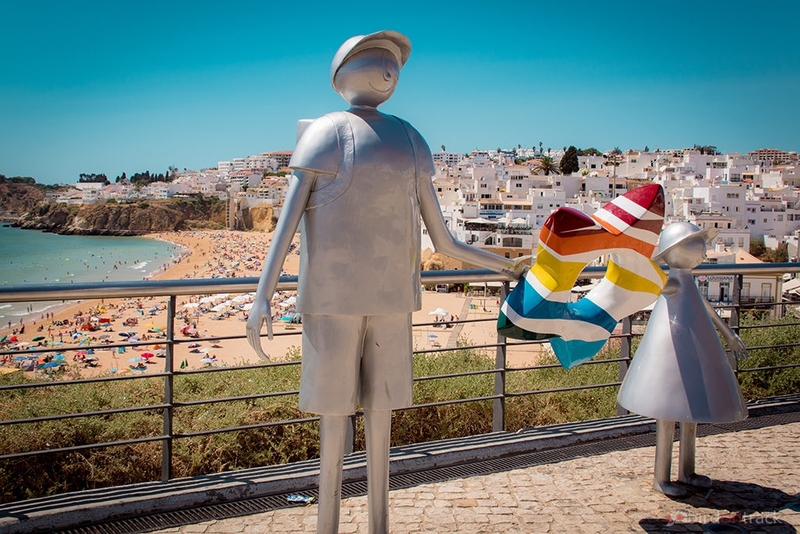 Albufeira is usually visited either exclusively by partypeople (and then he/she probably only stays there), as an Algarve explorer (from Faro International Airport, 40 km away (25 miles)), or as a road tripper, starting from Lisbon or northern Portugal. 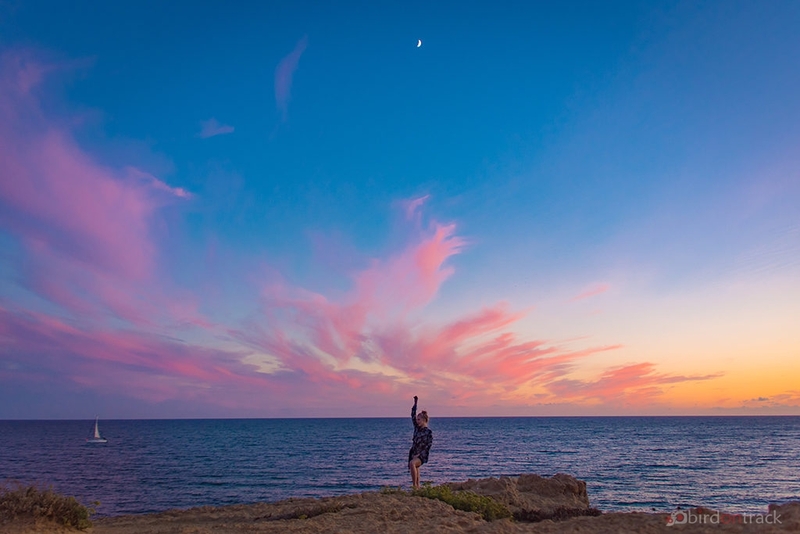 How and why you come to Albufeira … just come, it’s worth it and it’ll always be remembered as a beautiful and charming spot. 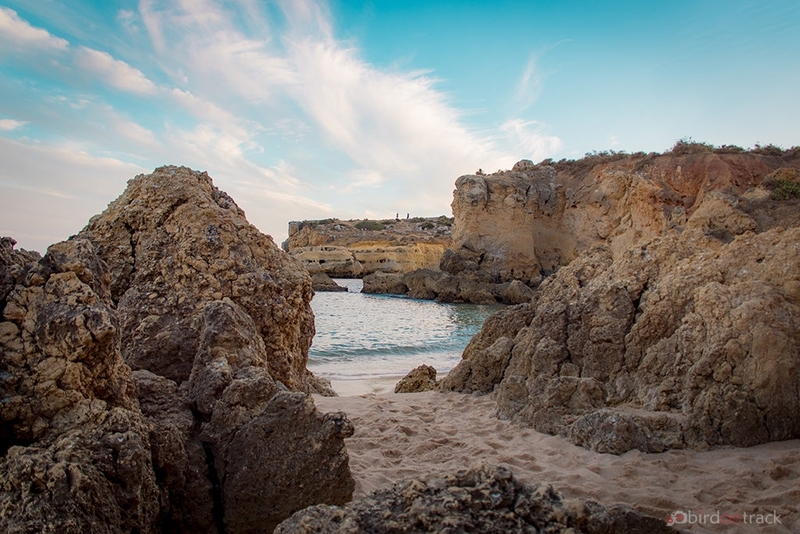 Next time we will have our travel impressions from the beautiful Faro, until then browse through our Albufeira gallery with all the photos. Dear reader, if you enjoyed reading our article, we would be very happy about a small donation. Loved this post because i can’t wait to go tget Portugal myself! Looks like the weather was amazing too! It is good to read in detail about Portugal’s towns and cities because I am planning a visit next year! 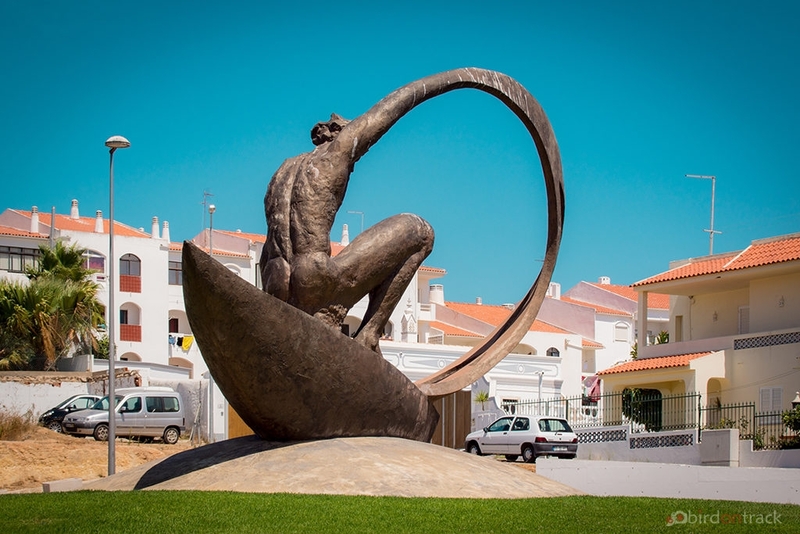 I know that I have to visit Algarve, having heard so much about it but now I am reading in-depth about the towns in Algarve, such as Albufeira. The beaches look magical, and I’d love to take the boat trip and visit the bone church (sounds like the one I went to in Czech, it was amazing). Also, so cool that it’s a party town, with over 100 restaurants! There’s so much more of Portugal I need to see and it looks like Albufeira needs to go somewhere high on the list. It looks amazing, those beaches and the water look so inviting. Actually, €5 for a sunbed is pretty good considering you could pay 3 times that in some parts of Spain. 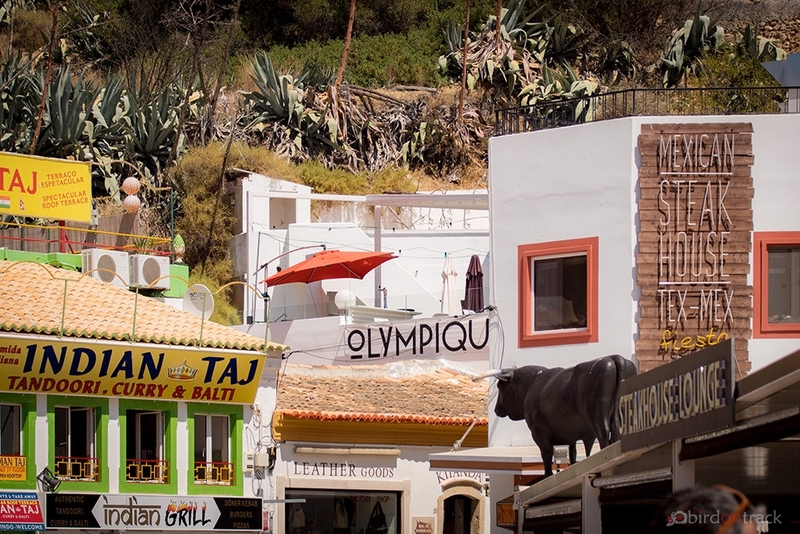 Albuferia looks like a beautiful rustic beach town in Portugal. As it has no criminal activities and drug nuisance and also favorable for age groups. Wow a Party town with 100 restaurants. I see Taj curry an Indian joint too in your photographs. I spent a couple of days in Portugal but never got to Albufeira, which looks beautiful. Your posts are definitely making me want to go back and do a road trip because I think you get to see so much more that way. That cat colony is fascinating. Would love to do the road trip and end in the Algarve. The beautiful beach town of Albufeira seems the ideal last stop The beautiful long beach and fish what a treat to end it. I have this on my bucket list and surely your post makes me want to make it happen even faster. 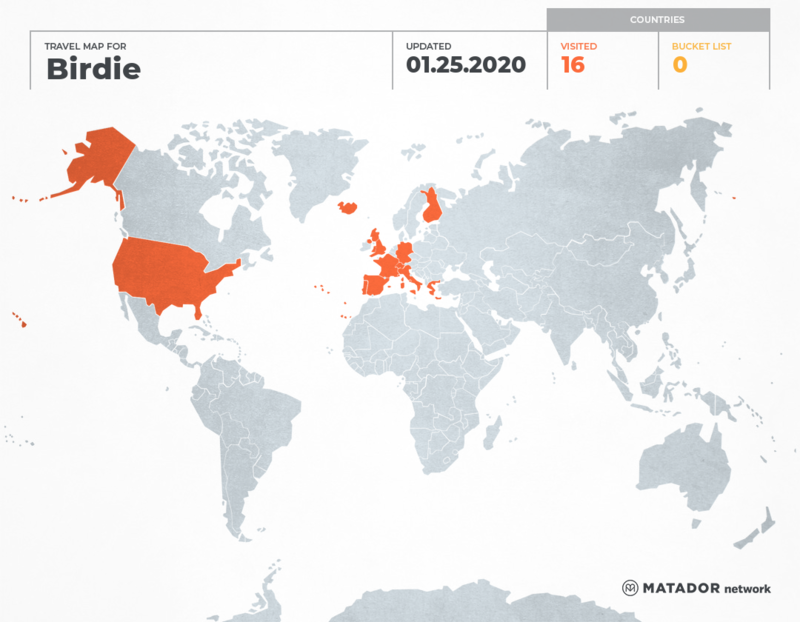 Great post with fantastic visuals to compliment. Thanks. I have always heard of the amazing beauty Portugal has to offer, but this is the first time I am feeling it for myself through your eyes. Despite there being so many things to do in Alburfeira, I might just end up relaxing and soaking all the beauty in. 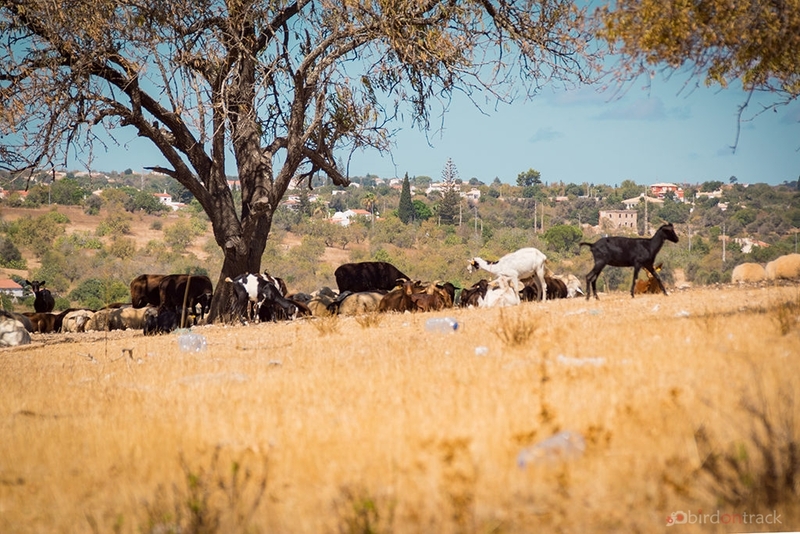 Thanks for this exquisite virtual tour of Albufaria! I may never head there! Even if I visit Portugal, it might be to Lisbon & Sintra. So, thanks for this post! Good to know the the city was not taken over by Romans and stayed safe from the earthquake as well. The rocky beaches are just exquisite. Have a great day and cheers from Zurich!